I have a almost 20 year old daughter who won’t grow up and has to be driven everywhere by mom. A son who is becoming an Eagle Scout this month, is looking for a job, and leaving for Boy Scout Jamboree in August. Son #2 who is starting baseball and wrapping up the end of the school year with lots of field trips and class projects. The above with the kids has me stressed and very easily could have lead to comfort eating or non stop grazing, but instead I stuck to my plan. I made myself eat when I didn’t want to which helped keep me satisfied. When looking for something to eat I would stop and ask myself “Am I hungry or am up tight?”. 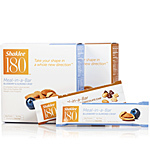 Shaklee180 emphasizes the importance of eating right while on their program. A typical day for me is a Smoothie for breakfast and one for lunch. Then I eat a regular dinner. To help add more nutrition to the Smoothies I’m able to add fruits and veggies that I like. Adding spinach to a smoothie gives you more vitamins and gives you a fuller feeling. SPINACH?! You say? Yes, I can’t taste it, I also add frozen berries to give the smoothies a a thicker more frozen consistency (I’m addicted to blueberries). I chop these throw them together and I add 1 TB of water and 1 TB of Italian Lite Dressing and toss. It’s very filling and tastes good. I picked these vegetables because they are either negative calorie foods (meaning it takes more calories to digest then the amount of calories you ingested, or because they are on the free food list from the Shaklee180 program. 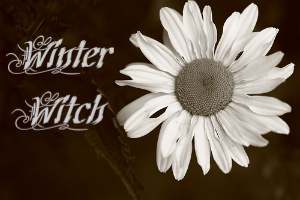 I throw them all together and blend well. It makes for a great way to start my day. While I do enjoy the meal bars and they are delicious I eat less of those. The Smoothies are more satisfying to me. 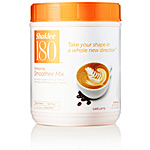 My new good habits & the Shaklee180 program is now rubbing off on my husband. I’m so proud of him. He is definitely more a meal bar kinda guy. Together we’ve been exercising and watching what we eat. When we go out we now look on the lower calorie areas of the menus. Losing weight as a team is much easier and more fulfilling than trying on your own. I am definitely in a happier place in my life right now. As of today I have met my doctor’s three month goal for me and I can’t tell you what an accomplishment it is for me!